Peter Graham delivers introduction to the CfSH for the Invicta Construction Training Group. The Reina Group were very pleased to accept an invite from the Invicta Training Group, to deliver a presentation on the Code for Sustainable Homes, for local building professionals at Walker Construction in Folkestone. The Invicta Construction Training Group was formed over 25 years ago by a number of employers with activities in the Construction Industry for the purpose of organising and co-coordinating Group Training. 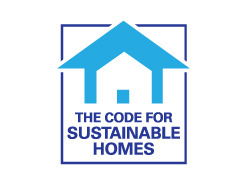 The event was very successful and enjoyed a high turnout, which reinforced the strong interest in the Code for Sustainable Homes requirements for new build housing.